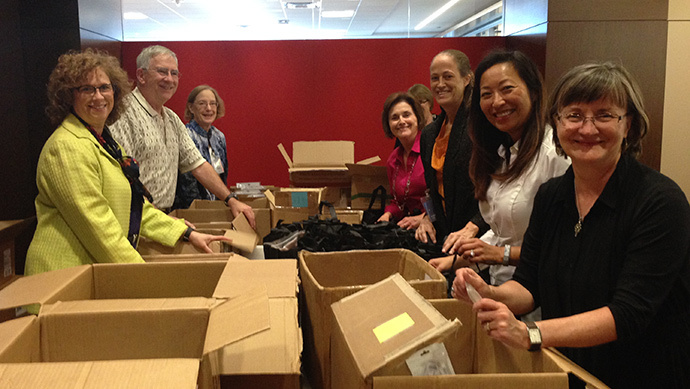 If you’re wondering who could possibly have stuffed all those bags that were handed out at the 70th Annual TEI Conference in Dallas last fall, you’re looking at ’em! Members of the Dallas Chapter helped coordinate the event, down to the little details. (Left to right) Nancy Vineyard, Richard Pettigrew, Linda Dickens, Susie Browne (hidden), Wilma Murphree, Nancy Eliason, Donna Gray, and Nancy Farahmand.